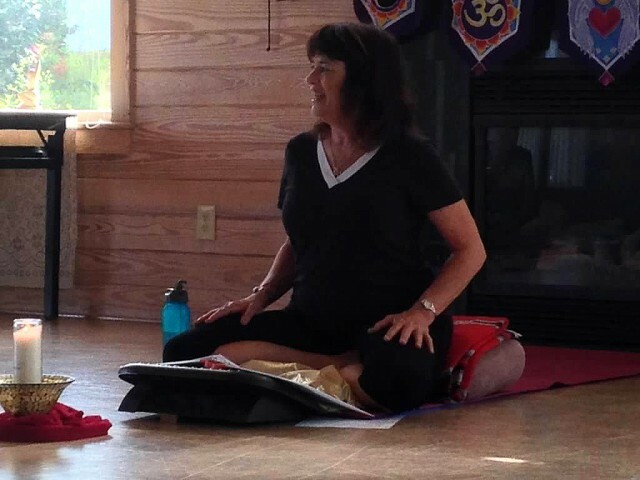 I’m very excited to once again be facilitating a yoga retreat in 2019 at the Trinity Center on Emerald Isle, N.C. for 4 days and 3 nights. 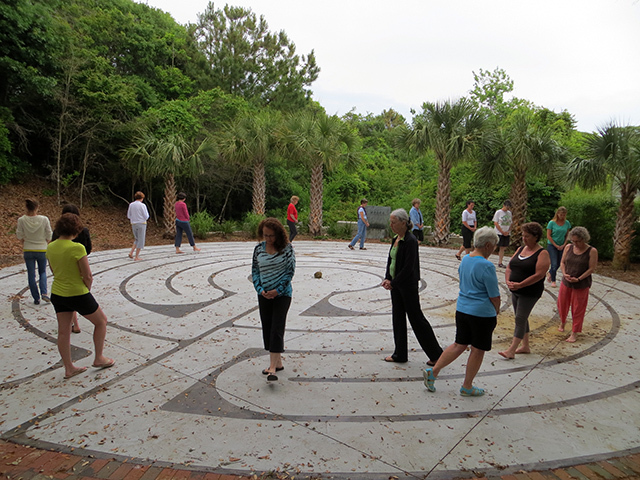 The retreat runs from Friday June 7th at 4:00 pm to 11:30 a.m. Monday, June 10th, 2019. After 26 years of studying with senior yoga teachers I am happy to have a chance to share more of what I’ve learned than class time allows! Exploration beyond the entry level of yoga cultivates passion, discipline, and commitment, and together we will hone our skills finding equanimity, steadfastness, acceptance and contentment. 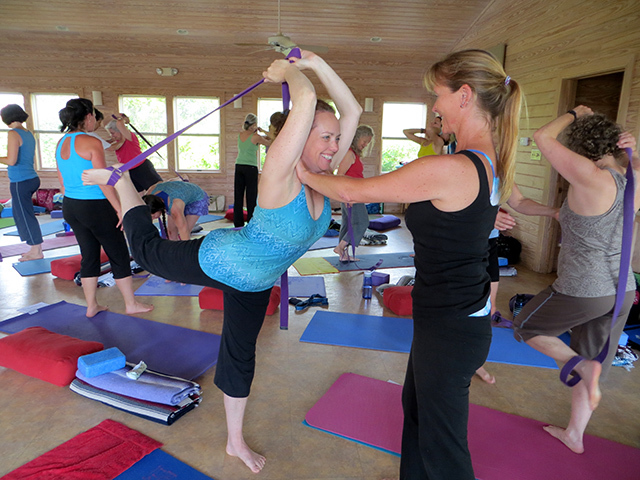 We will be exploring the alignment of asanas (postures) that open body and mind. 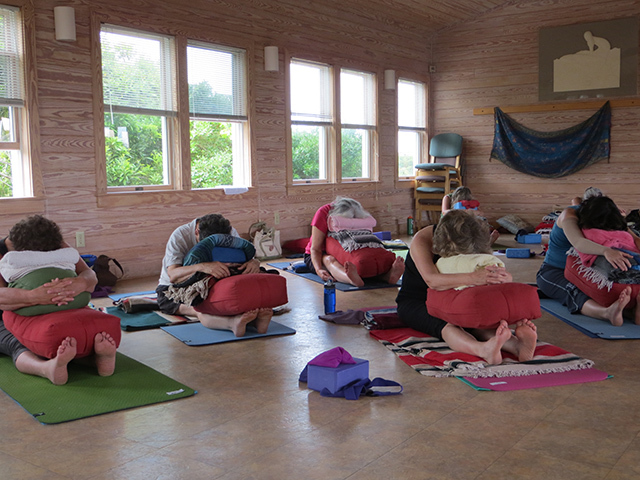 We’ll learn to breathe in ways that raise biological energy (prana) to a higher state and be drawn to that safe and quiet space inside with meditation, pranyama, poetry, and creative visualizations. 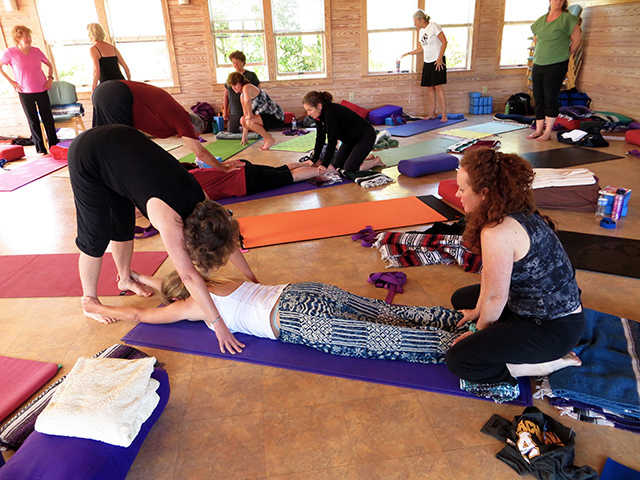 We’ll practice using the intelligence of the body to create harmony and ease. 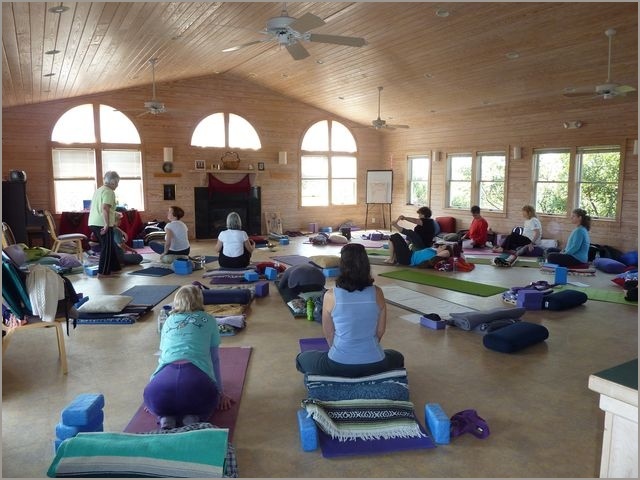 Spending concentrated time in retreat, we cultivate consciousness and nonjudgmental awareness. It is a gift to Self, a chance for mental, physical, and spiritual rejuvenation. 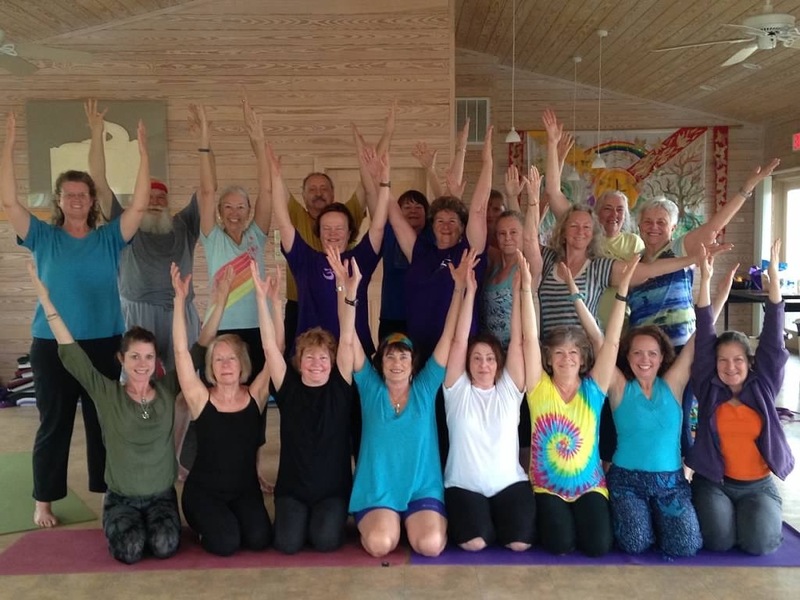 We will spend several hours a day in a morning and afternoon practice of yoga, pranyama and meditation and some evening activities a couple of the nights. There will always be a long break in the afternoon for you to explore the beautiful beach, the sound side, and pretty little trails. Come experience the transformation possible in this inspirational immersion and return home with a smile on your face and warmth in your heart! I love the Trinity Center! The facilities are wonderful, as well as the beach site, food & staff. I was able to book the beach house that is right on the beach as our practice space! I know that this will be a rich experience. One very nice feature of the place is that besides your room there is also a nice lounge area for each group of rooms, so it will be easy for you to get to know each other. The price for your 3 nights stay will be $445.00 for a double room, $535 for a single. This includes your room, yoga sessions and all meals. A $100.00 deposit will save a spot for you. If you need to cancel your reservation, this is a refundable deposit until March 1st, if I can fill your spot from a waiting list. The balance will be due on April 1st, with only 1/2 of the monies returned after May 1st if you need to cancel after that date. For more information call Cathy Holt at 919-542-4103 or write to me. I really can't express to you my appreciation for all of the heart, soul, love and time that you put into the planning of the retreats. I know it ends up being a lot of uncompensated time .You give so much of yourself that I think that makes the group want to give back and share -- you set such an open and sharing example for us all. As I said at the retreat, I was afraid it wouldn't be possible for this year's retreat to live up to last year's. But.....it surely did! And I really loved the way we said our good-byes (dancing the "minuet"!) - at first I tho't it was a little hokie, but I loved it! We looked each other in the eyes & all you could see was love. Wow! Love you bunches - you really do bring the best people together!! I want to honor you. My head and heart are still full of the retreat. I loved every moment- your pacing was perfect. And the culmination for me was that final greeting. if the eyes are mirrors of the soul, I felt that every time I performed that elegant little minuet, I was looking into another new friend's essence-open and unafraid, mysterious and beautiful.Wow. Blessings to you for giving us the security that enabled such intimacy. I realize that my being able to come to the retreat this year was due to a cancellation. But I do hope I will be eligible for a place next year. In that hope, I am enclosing my deposit-in anticipation of another remarkable experience. That retreat was absolutely wonderful.What a mindful, beautiful, touching, fun, weekend with you and such a dear group of people.Loved every single minute. You were superb; not surprising, but still more superb than ever.You obviously put so much into making this so glorious for each of us.I feel stronger, in and out.Susan also had a fantastic experience. Because of you, I now know yoga as a much larger process than I had before; individual people's integrity, goals, postures and processes are to be honored, in contrast to participants striving to mimic some expert guru yogi's way. Because of you, the Retreat allowed the best characteristics of people to show; human love, generosity and intelligence existed in balanced ways. That is not to say, that it was some sort of momentary escapist utopia; no, painful, hard and difficult dynamics existed, but the human love, generosity and intelligence allowed those difficult states to be healed. Because of you, I am on my way, my path. Thank you for always making me feel welcome! You are fantastic-- making this wonderful retreat happen, and guiding it so well. The success of the retreat is influenced by every wonderful person there, of course, but you are the one who really shapes it and gives everyone who participates the place, confidence and freedom to express themselves there. I know that sometimes, the best way to make friends is to not already be in locked-arms with one! It was the knowledge that I might meet new people and deepen friendships begun last year that made my decision to come even easier.